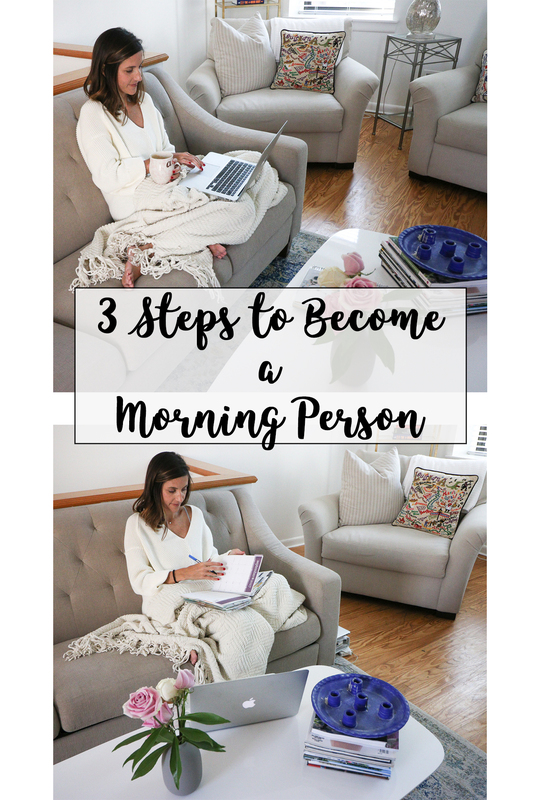 One of my most popular blog posts has been my 3 Steps to Become a Morning Person post. I published that post almost exactly one year ago. 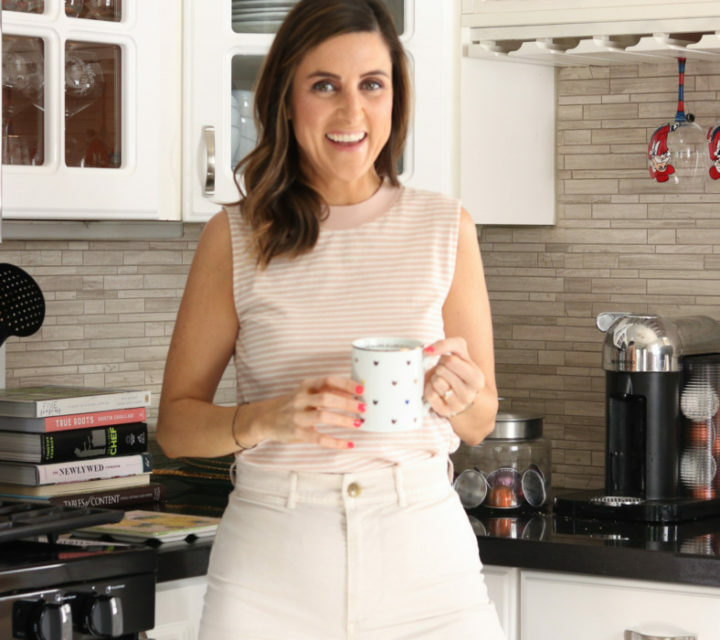 It included a blurb about my morning routine that seemed to resonate with you as I’ve received numerous comments and questions about my mornings since that post. I maintained that morning routine for a good three years while juggling a full-time corporate job, this blog, and my contracts business. But a few months ago, I quit my 9-5 job to work for myself full-time! I’ve had a few questions about how this has affected my morning routine. 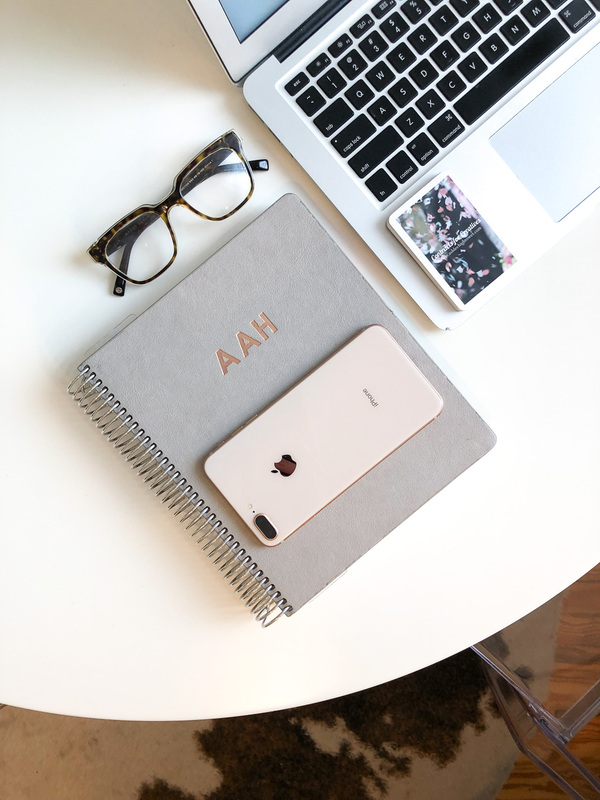 Now that I’m almost three months into self-employment, I figured I’d share a little update on my new routine! Most people that have asked about how I’ve adjusted to working from home are surprised to find out that I still wake up around 5:00 AM every weekday morning. Like I mentioned in my previous post, I’ve been a morning person for a long time. I love my mornings. I love the quiet time it provides. No incoming emails, texts, or calls, and the city is so quiet early in the mornings! And honestly, living on the East Coast, I’ve become spoiled. I love the feeling of knowing that I’m up way before the other time zones (type A personality at it’s finest). It also doesn’t hurt that Michael wakes up around the same time. He usually heads straight to the gym, so it’s just me, my computer, and my cup of coffee in the early morning hours. One significant change in my morning routine is that I don’t immediately shower when I wake up. I used to stumble out of bed and immediately shower. It would wake me up and give me the jolt to get moving in the morning. Now, I just splash my face with water and apply my morning eye cream and face moisturizer. I feel fresh-faced and awake enough. I always brew coffee (Nespresso + one scoop of Vital Proteins) and fix a quick breakfast, usually toast and strawberries. I turn on the local news to catch up on any happenings and scroll through my notifications on my phone while eating breakfast. By this time, it’s usually around 5:30 AM. 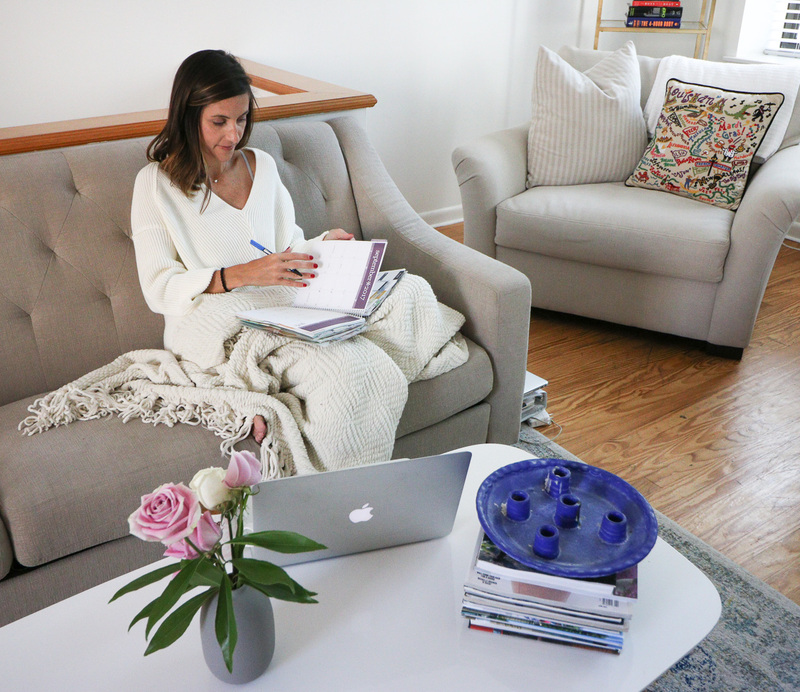 From about 5:30 to 7:30 I work from my couch on immediate to-do tasks like putting finishing touches on that day’s blog post, drafting social media posts for the day, and answering emails that came in the late in the day the day before. Those two hours pass by pretty quickly, but they’re so productive! I’d say those are really my most productive hours of the day. The reason why: no interruptions. It’s hard to explain, but my head is just clear in the morning hours. As the day goes on, my to-do list grows, I can’t respond to all of the incoming emails, and I have out-of-office commitments like meetings, events, and my daily workout. Around 7:30 AM is when my morning either goes one way or the other. If I have coffee meetings or early afternoon commitments, I usually go ahead and shower and get dressed for the day (makeup and all). If I don’t have any meetings or commitments that day, and I know I’m working out later in the day, I’ll usually put on minimal makeup, get dressed (some days I get fully dressed, other days I’m in yoga pants and a tank), and postpone my shower until after I workout in the evening. Either way, I try to be back at my desk (aka my kitchen table) by 8:30 AM. That’s when my true workday starts … the emails start rolling in. If I’m at home all morning, I work at my desk from 8:30 to 10:30 AM. Around that time I make a protein smoothie. I usually share my smoothies and the recipes on Instagram Stories, if you’re interested! That pretty much wraps up my new morning routine! Not too interesting, but I always love to see how other people organize their mornings and days, especially when working from home. I also previously shared A Look Into My Everyday Schedule. I’ll be updating this post to reflect my new weekday schedule soon! You’re so productive in the morning! I’ve been trying to do some early workout classes a few days a week since it’s so nice to get them out of the way, but getting up earlier than I’m used to is still a struggle…I don’t know how you do it! Working out in the morning is tough! That’s what Michael does first thing, and I’m always amazed. I think you’re right though, the reward of getting it out of the way helps!